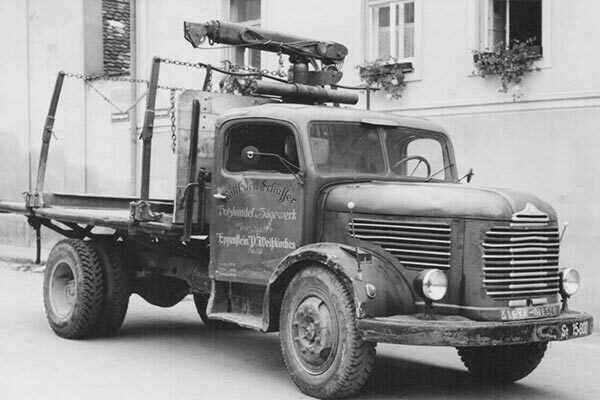 We are one of the leading companies in the Austrian timber industry. As the market leader for rift lamellae in Central Europe, we only process sawn wood of the very best quality at our sawmill in Eppenstein. We are one, of the largest producers and marketers of high quality austrian larch in Europe. 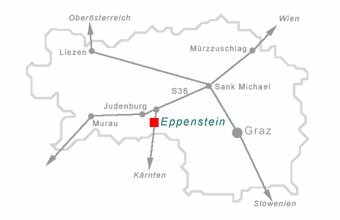 We employ around 70 employees and supply well-known woodworking companies in Austria and abroad. The average annual cutting volume of logs is around 100.000 cube meters. 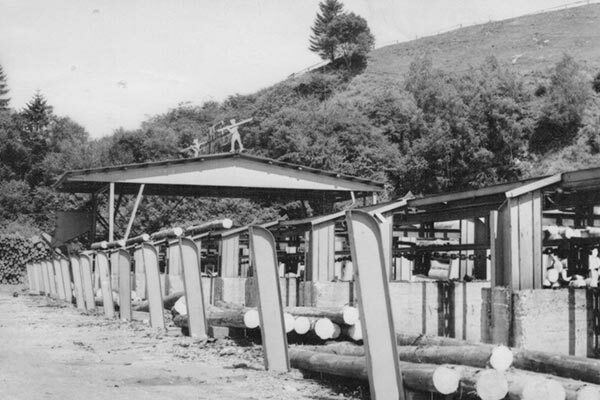 Our sawmill is equipped with a frame saw, a band sawmill, circular re-saws, automatic sorting and packaging systems as well as drying chambers. Styrian timber is known to be one of the best offered on the international timber market. This wood, mostly cut down in winter, matures in the protected alpine regions of Austria. Due to the severe environmental conditions, this wood grows slower and has a particularly fine structure – a sign of healthy growth in unspoiled surroundings. 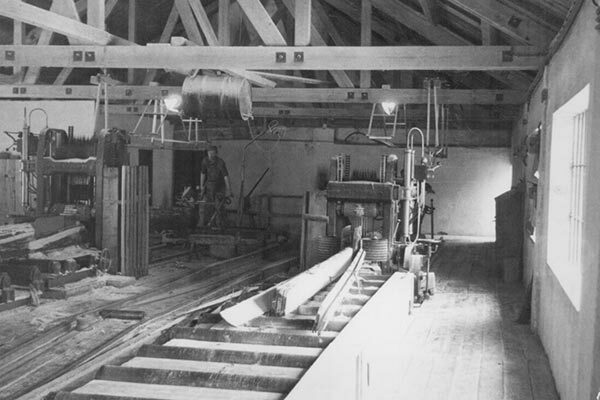 As a sawmill processing logs with large diameters, In the late 1980’s Schaffer Holz established its reputation as a leader in processing logs with large diameters. The latest „band saw technology”, which is very precise and flexible, enables us to maximise the opportunities to extract the best timber and cut logs with a diameter of up to 120 cm. The rift cut is a radial cut, in which the annual rings are set as square to the width of the board as possible. The rift cut considerably improves the dimensional stability of timber and prevents the warping of timber cross-sections. Schaffer Holz specialises in the cutting of round timber with top end log diameters of over 50 cm in spruce and 36 cm in larch. These logs produce an especially large proportion of timber with upright annual rings and without heartwood. It hardly cracks, expands, contracts or shrinks. Furthermore it is characterised by a very high tensile strength. Larch is extremely stable and has good tensile properties, particularly suited for outdoor applications. For example, glued timber made of larch is used for structural bridge construction. 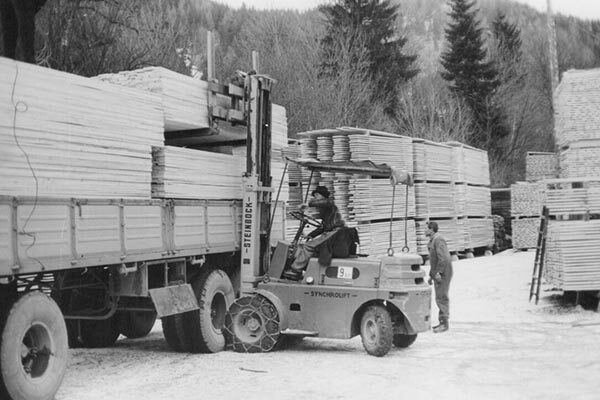 For indigenous larch, Schaffer Holz is one of the largest selling and processing companies in Austria. We cut only finely grown, large dimensioned larch timber from the Styrian mountains in Austria. In our export markets of Italy, Germany, Switzerland, Netherlands, France, Slovenia, Slovakia and Spain, larch from Schaffer Holz is held in high esteem. A company is only as good as its employees. That is why; Schaffer Holz employs only specialists, who give their best to our customers. They expertly know how to deal with wood. 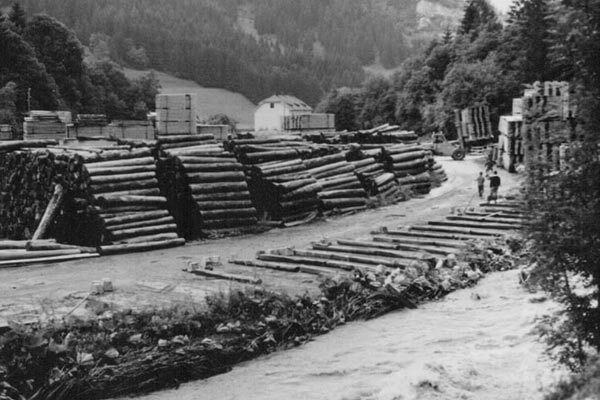 In 1914, Franz Schaffer began to run his sawmill below the castle ruins of Eppenstein. 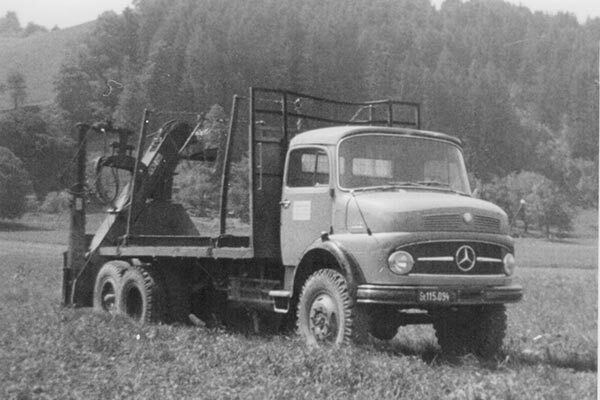 His activities were on a modest scale, producing some 2.000 solid meters of timber per year, on leased property. 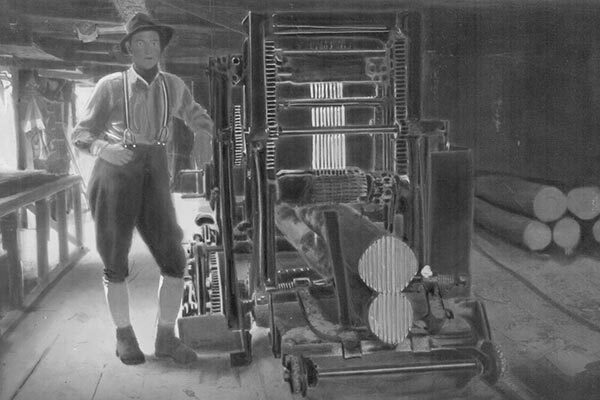 Three years later, in 1917, he purchased the premises and subsequently lead the company through two World Wars and The Great Depression. 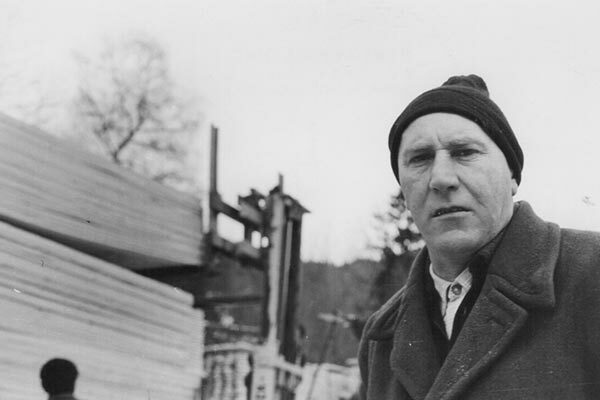 In 1950, his son Gotthard took over the saw mill and used the period of post war economic recovery to expand the company. 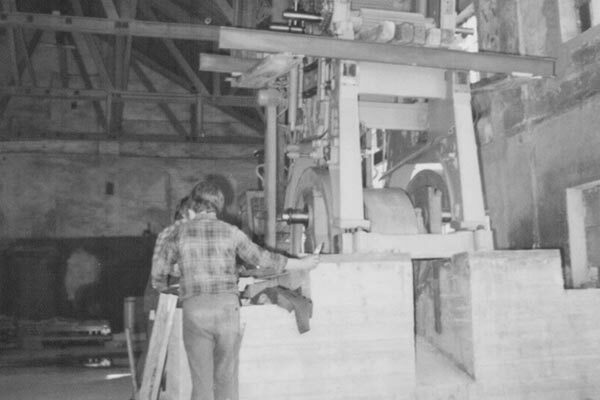 In the 1970, 18 people were employed at the sawmill and 30 more as woodcutters. 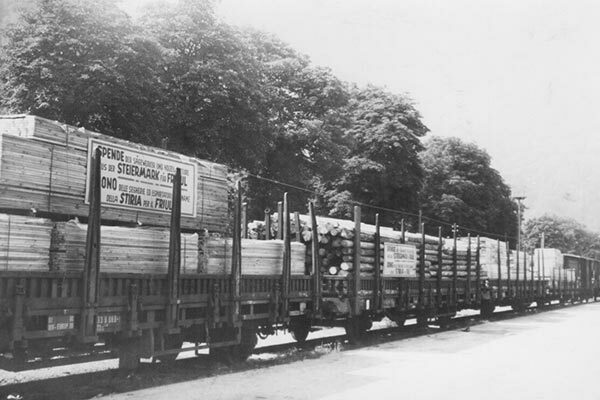 The volume of cut timber increased tenfold since the foundation of the company. 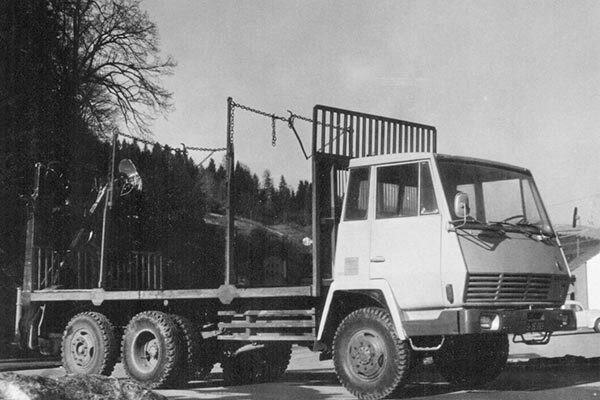 In 1986, a substantial step towards securing the future was taken, when Schaffer decided to concentrate on processing large dimensional logs. 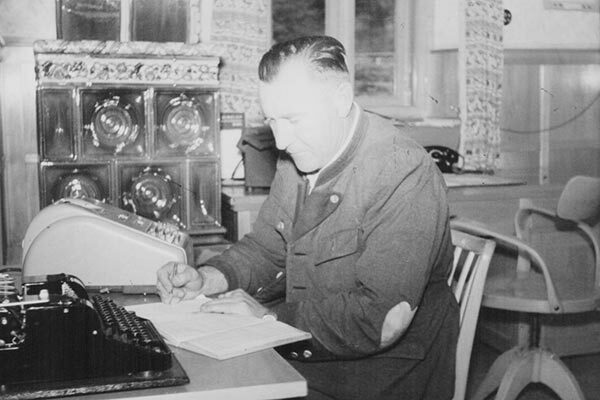 Gotthard’s sun, Johann Schaffer, managing director since 1987 concentrated on this method to take “the best from of every log” for his customers. In 2015, the company was handed over by Johann Schaffer to his children, the fourth generation, who will continues this endeavour.